Get well wishes never tasted so good! 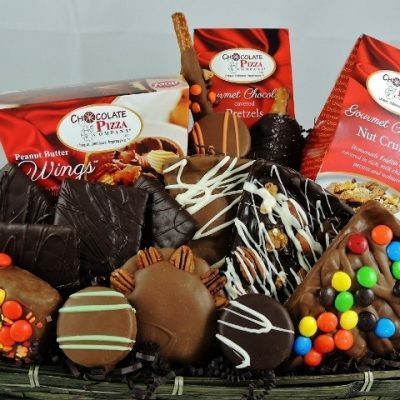 This cheerful handled box comes filled with all the sweet treats to make anyone feel better instantly. 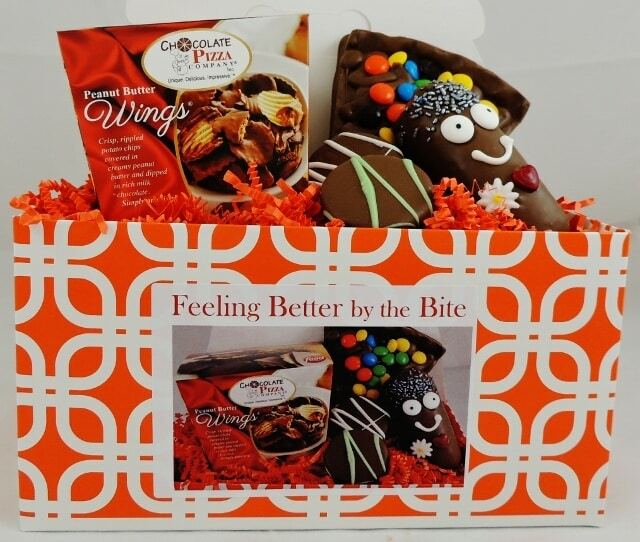 Inside you’ll find our famous Chocolate Pizza® Slice (candy topped, milk or dark – select above), our one-of-a-kind Peanut Butter Wings®, one cute Moompa (cream-filled sponge cake covered in chocolate) and 2 delicious chocolate covered sandwich cookies. 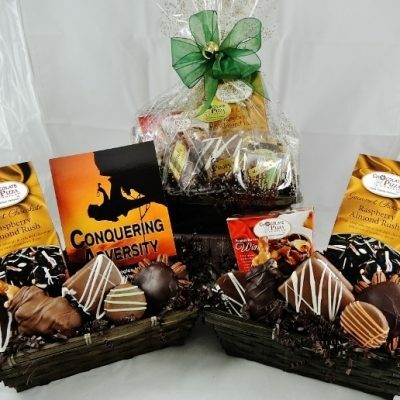 Here is a gift that will definitely have them “Feeling Better by the Bite” ! We all feel better when someone takes time to wish us well. It’s human nature. A kind word, a surprise gift, a quick visit or call all help us to feel better and recover easier. The reason is simple – a positive mindset translates to a more receptive healing process. The nice gesture of helping someone feel better lifts their spirits, increases optimism and relaxes their mind – all of which aids in recovery. But here’s another secret – it helps the giver feel better too. That positive energy flows both ways. In the act of giving, we also receive. 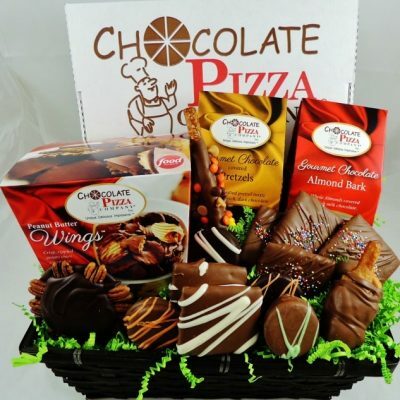 So, whether you want to send someone you know a very special Get Well Soon surprise or you want to thank the wonderful medical staff that made a difference for someone you love, Chocolate Pizza Company understands that this just isn’t any old gift occasion. This is special. This is important. This is personal and the people you trust with this task should grasp the full range of emotion that goes into this specific choice. On a lot of levels, this gift matters. The good news is we get it. You can relax and know that we’ll do whatever it takes to make sure our chocolate specialties communicate your good intentions.